GolfeTours is a golf holiday enterprise with a mission to provide it's clients with affordable golf breaks, golf holidays, golf deals and golf packages in the Algarve, Lisbon Coast and Costa Azul in Portugal, the Costa del Sol, Costa de la Luz & Costa Almeria-Murcia in Spain and other interesting destinations. All our packages are properly researched and hence we are in a position to offer accurate information and advice. If you know the details of the package you want contact us and we will send you our best value quotation. Alternatively, you can ask us for some options to assist you in the selection of the package which will best suit your needs. If you have never visited a specific destination let us know and we will be happy to provide you with information about the area before your departure. We work with a range of long established and trustworthy business partners and together we are in a position to ensure that your golf holiday will be exciting and relaxing. Vincent O'Connor, our Chief Executive, spends much of his time in Portugal and Spain, especially during the winter months. He knows the region well and is happy to recommend it as a superb holiday destination. The golf product is of the very highest standard and, of course, it is very convenient for residents of Ireland and the UK - less than 3 hours flying time. 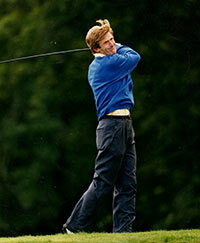 Golfetours' mission is to provide our clients with best value for money golf holidays. We are now celebrating our success during the past season and we are working hard to drive down prices to suit the currency of recession for the coming season. Our many clients have confidence that their interests come first with us. We certainly will never let you down. 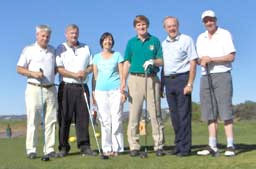 The GolfeTours' administration centre is based in Dingle, Co. Kerry, Ireland. You can contact us by email or by calling one of the telephone numbers.